Last year Mozilla kicked off “Project Things”, with the goal of building a decentralized ‘Internet of Things’ that is focused on security, privacy, and interoperability. 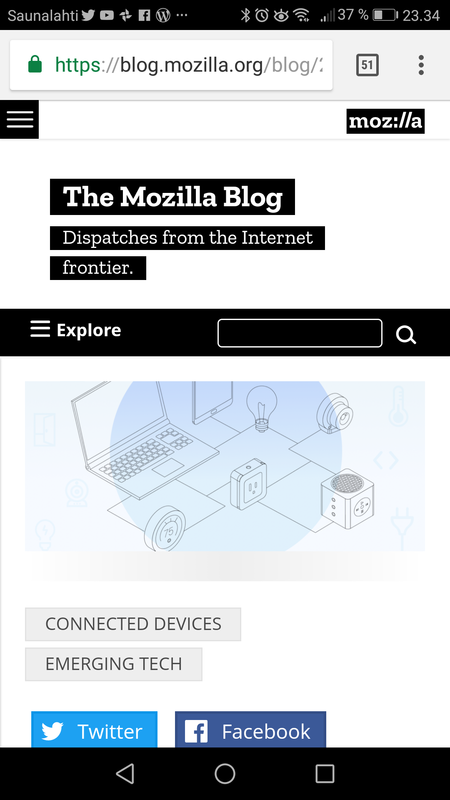 Mozilla believes that the future of connected devices should be more like the open web. The future should be decentralized. There are ongoing standardization efforts around the “Web of Things” at organizations like the IETF, W3C, OCF and OGC. WoT has a Web Thing Description format based on JSON and a REST + WebSockets Web Thing API. Today’s launch makes it easy for anyone with a Raspberry Pi to build their own Things Gateway. In addition to web-based commands and controls, a new experimental feature shows off the power and ease of using voice-based commands. Getting started is easy: check out this tutorial to get connected. The setup process will provide you with a secure URL that can be used to access and control your connected devices from anywhere. For more information, please visit iot.mozilla.org an specification on GitHub. Mozilla released a prototype of Things Gateway last year as part of the Project Things launch, its implementation of the proposed Web of Things standard that incorporates internet technologies to manage different vendors’ IoT offerings which don’t always work together.